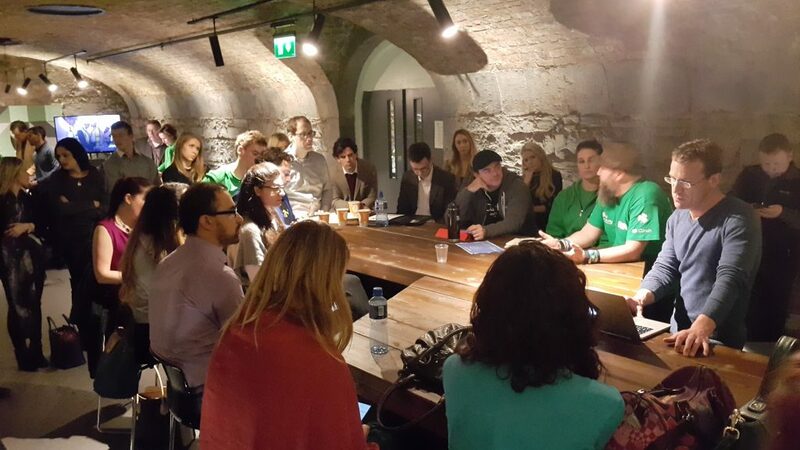 #truDublin (The Recruitment Unconference) is back at the Vaults in Dogpatch Labs on 26th of January 2017 (9 AM to 5:30 PM)! #tru Dublin is a non-profit unconference organised by recruiters for recruiters and other professionals in the industry. At #truDublin you will meet other recruitment and HR professionals, recruitment thought leaders, Hiring Managers, recruitment techies representing in-house teams, recruitment agencies, job boards, HR Tech companies and anyone with ideas to share about our industry making us better at what we do. Why attend a #tru event? Track Leaders‘ list will include Bill Boorman (tru founder), Ivan Stojanovic, Gordon Lockenberg, Stephen O’Donnell, Jim Klug, Shane Mc Cusker, Gerlad Morgan, Oscar Mager, Johnny Campbell, Balazs Paroczay and many, many more, coming from Ireland, UK, USA, Netherlands, Hungary, Czech Republic and Croatia. Participants registered so far come from Oracle, Microsoft, Facebook, Twitter, Google, Amazon, Airbnb, Deloitte and many more companies. The Sourcing Playground, organised by The People Sourcing Crew, helping you with tips & tricks and hands-on sourcing experience for those hard to find candidates. The event, the track leaders, the sponsors, supporters and agenda are entirely determined by the participants. For latest updates you can follow us here and follow #truDublin on Facebook and twitter. Everyone is very welcome, grab your ticket now, numbers are limited! All we ask is that you register, make a donation of what you think #tru is worth to you and make sure that we have your name and contact email to pass on relevant details. Please have in mind that we will be feeding and watering you throughout the day! Actual cost of the event is €100 per person attending. Be as generous as you can, after we have covered the costs, all proceeds will go to Coder Dojo! TRACK LEADER for anyone who would like to lead a track. If you want to lead a Track, book a Track Leader ticket and email your Track title to us. Track topics are anything you think is worthy of discussion. Track Leaders set the topics, start the conversation, opening things up to participants. We will publish the full agenda as soon as all the Tracks have been claimed. SHOW & TELL for anyone wanting to present a product. As with all of our tickets, it is donation only, give what you think it is worth. We are looking forward to seeing you in Dublin for this #tru event! A very big THANK YOU to our partners and sponsors!